Book. A 100 page book by Ellen Nodelman and her research team from our adult education committee tracking the heritage of Jewish Connecticut through the chicken and dairy farmers who founded Rodfe Zedek in October of 1915. The book also tracks Beth Shalom’s founding along with the fusion of the two communities into CBSRZ. Field Trips. Docent-guided, bus field trips tracing landmarks in the history of Jewish farming in Connecticut. Lecture. A lecture on Jewish agricultural heritage in Connecticut. Award. 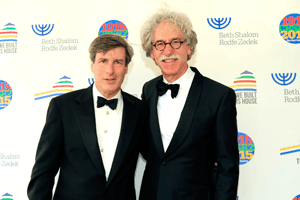 Inauguration of permanent annual Pursuer of Peace and Justice Award to honor the courage, values, and aspirations of the 1915 Founders of Rodfe Zedek (justice) and those who later founded Beth Shalom (peace). Film. Launch of one-hour documentary, “We Built this House,” by Jon Joslow, about our unique, Sol LeWitt-designed building. The world premier event is set for Sunday, June 14, 2015 at the Madison Art Cinemas. Gala. 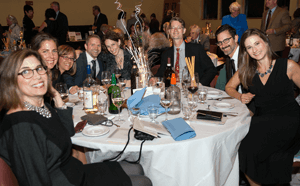 A grand centennial gala on Ocrober 3, 2015, including the premier of an original play about our congregation’s history by Lary Bloom and Shelly Sprague. Linocuts. Production of commissioned, original prints of linocuts of our building by Bill Farran, a new CBSRZ member, and best known for his focus on Eastern European synagogues. Farming. Building a sustainable farming effort on behalf of CBSRZ land in recognition of the agricultural past of our founders. Our Farmland committee, is developing plans for invigorated communal gardens.